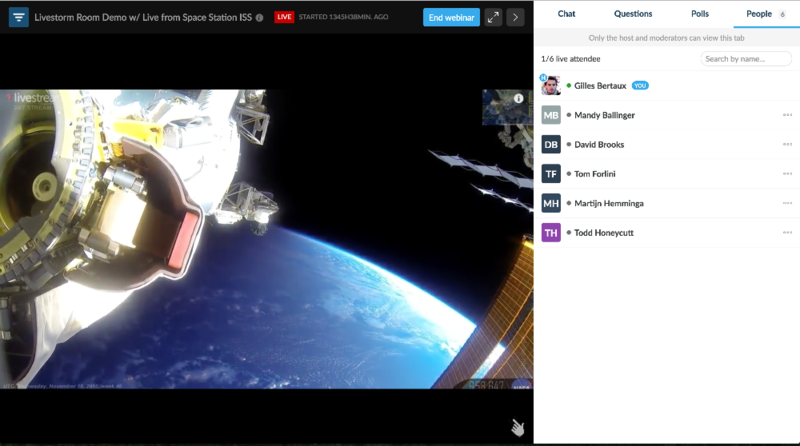 How Does the Sidebar in the Webinar Room Work? In this article, we'll cover the basics of the sidebar inside the webinar room. The chat section is public. Meaning everyone can post on the chat and the message will be available to everyone. If you want to mention someone on the chat you can just type "@" and the name of the participant (e.g @johndoe). You can also send Dropbox and Drive links by clicking on the icons. How to use the Questions tab? The question tab is dedicated to the attendees. Meaning only the attendees can ask questions. They will also be able to upvote the questions. You as a host or administrator will be able to reply to those questions by clicking on "Reply". This button is only available to the host or admins. 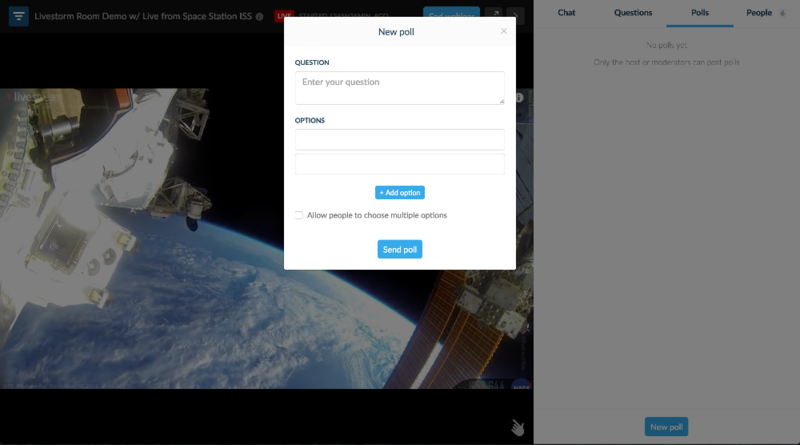 You can also choose to send live answers to any question! You can end your live answer by clicking on "I'm done answering". This will also generate an automatic written reply stating that you've answered live. You can always go back and edit that answer as you prefer. For example, this would be useful if you'd like to add any links that you've mentioned during your live answer. How to use the Polls tab? Sending polls is easy. Just click on "new poll" and write your questions and the differents choices. Tick the checkbox to allow your attendees to send multiple answers. Note that the polls can only be sent by admins or hosts. The results will be displayed in real-time. They are anonymous and available to everyone. However, in your dashboard, you will be able to see everyone's answer to a specific poll. The people tab will list all the participants including the host and the guests. By default, this tab is available to everyone but it can be hidden and only available to the host and admin. To achieve that, go to your webinar settings > design > and uncheck the checkbox to make it private. As a host or admin, click on the three dots to access more options on the participant. How Do I Hide Chat/Questions/Attendees?